“Do you believe in miracles,” was the historic question commentator Al Michaels used to describe the euphoria of the last five seconds of a hockey win. The youthful and inexperienced United States hockey team defeated the greatest and most powerful four-time defending Olympic gold medalists, the Soviet Union. Although that memorable event took place in Lake Placid, New York in 1980, miracles continue to occur to this very day. 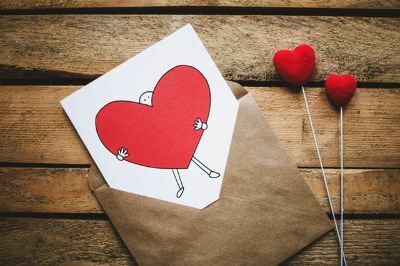 Nearly 40 years later, a lovely woman who resides in Reseda, California was recently the recipient of kindness and generosity, and in her eyes a miracle. Despite these challenges, Susan keeps active on a daily basis. She attends a variety of classes including, creative writing, Zumba and intermediate Spanish. Susan receives support services from TASC where we offer well-trained instructors to assist Susan with cooking, cleaning, medical appointments, hygiene, and other essential everyday needs. Unfortunately, Susan can no longer walk, let alone stand without assistance. Susan’s fading strength does not allow her to get in and out of bed without assistance from her instructors, or loving husband. In recent months, her lift chair recliner broke, forcing Susan to sleep in her electric wheelchair in a reclining position. Exhausted both physically and mentally, she continued to wake with a smile to greet the day. Nairy Ghazourian, founder and proud active member of The Avanti Woman, a new organization dedicated to empowering women to move forward personally and professionally through networking, mentoring and learning, happened to stumble upon a GoFundMe letter written by Susan. Nairy immediately jumped into action to research the particulars of the letter, and performed perhaps what might be considered another modern-day miracle. Through The Avanti Woman, Nairy raised enough funds to purchase a new, state-of-the-art electric bed powered by remote control and an electric recliner lift chair. This will allow Susan to be more independent, and better empowered to enter and exit the bed. A comfortable night’s slumber is now a reality. Susan, her husband Joel and the entire TASC family, thank Nairy, and all the women who supported The Avanti Woman’s GoFundMe Campaign for their love and kindness toward Susan. 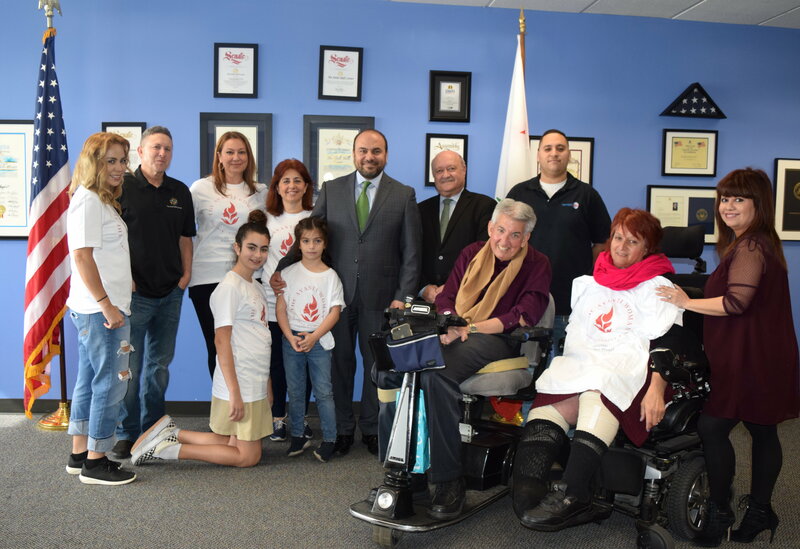 A very special thank you goes out to 46th District Assemblymember Adrin Nazarian for his continued support of TASC and individuals with developmental disabilities. We would also like to acknowledge Greg Naldzhyan from Daily Care, Inc. Medical Equipment & Supplies for providing a generous discount on the lift chair recliner, and Mattress World located in Canoga Park for giving a heartfelt discount on the electric bed. “Do you believe in miracles?” Susan does! 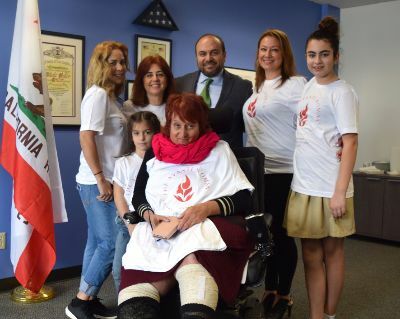 The perfect photo opportunity with Assemblymember Nazarian, Susan, the founder of The Avanti Woman (Nairy Ghazourian), donors to the project (the youngest being 7-years-old! ), Regal Medical Group (Arieh Manor), Mattress World (Irvin Espinoza) and TASC staff, Ken Lane and Robert Zazula. The Board of Directors work hard behind the scenes of TASC. They are super volunteers to the organization and help make everything tick. The Directors attend community events to ensure TASC is well connected such as going to the Greater San Fernando Valley Chamber of Commerce events to grow relationships with businesses in the area and the Valley Industry & Commerce Association events to further connect with political representatives and stay in-the-know about upcoming legislation that may affect TASC. 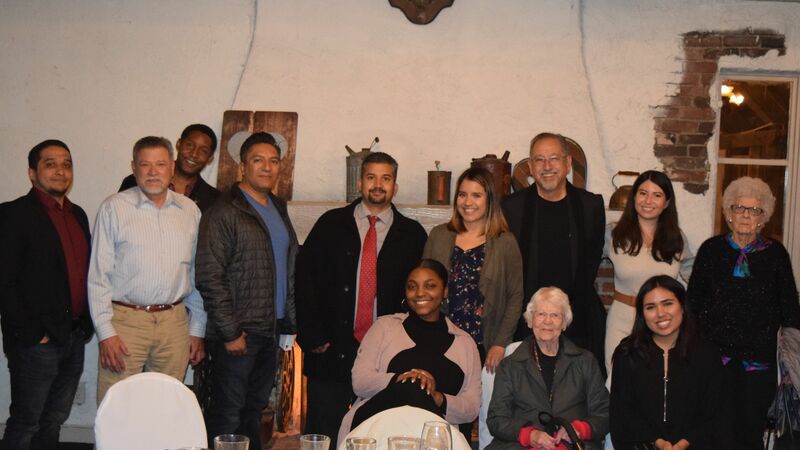 The Directors also help TASC strengthen current relationships like our connection to CSUN where TASC clients meet daily. 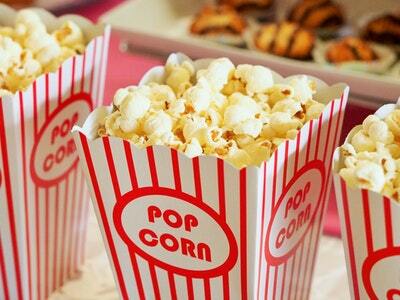 It was also the idea of TASC’s Directors to create the Fundraising Committee, which has brought about new and fun events like TASC’s $5 Movie Night in partnership with Our Community School. 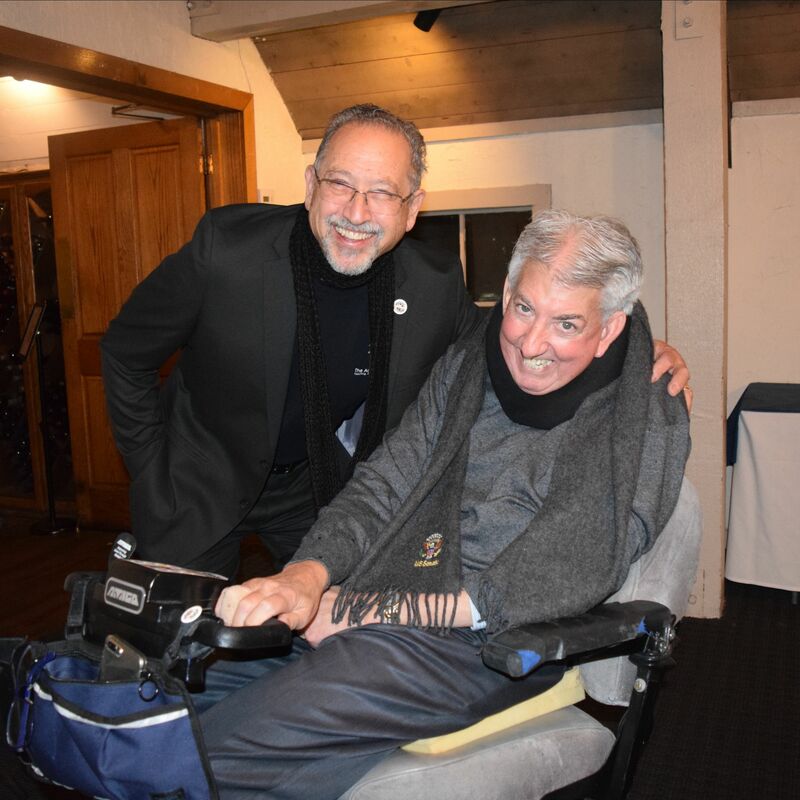 In 2018, TASC welcomed two new Board Directors, John Gutierrez a former CSC at North Los Angeles County Regional Center and Rafael "Ralph" Andrade, restaurant owner of Myke’s Café in Pacoima and Sherman Oaks. TASC thanks our Board of Directors for all their hard work and dedication! You are all so appreciated and make a wonderful difference for TASC! From left to right, Ignacio Andrade, John Gutierrez, Ira Harrison, Ralph Andrade, Dennis Rutnam, Taylor Carr, Tania Bartolo, Ethel Swanson, Nick Leone, Christie Bacock, Brittany Maufras, Barbara Baum. Not pictured Board Members, Dr. Beth Lasky, David Uranga and Adam Yorkshire. New! Set Up Monthly Giving to TASC! 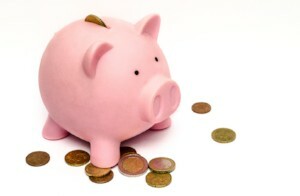 Help TASC plan for monthly program expenses for clients by setting up a reoccurring donation online. Just click here. Donations to TASC cover fees such as client scholarships for education courses, gym memberships, local outings, employment readiness (business attire/grooming expenses), transportation costs and more. This event is around the corner on Friday, Feb. 22 at 6PM at Our Community School (10045 Jumilla Ave, Chatsworth, CA 91311). The movie selection is a classic 80s throwback. For the movie name, click here to find out. Purchase your tickets in advance by following this link. Mark your calendars for TASC's Midsummer Concert on Saturday, July 20th at Temple Judea in the evening. All of TASC's clients are invited to sign up for group acts by February 25. See the sign up sheet by clicking here. Families and community members are invited to volunteer for the evening. 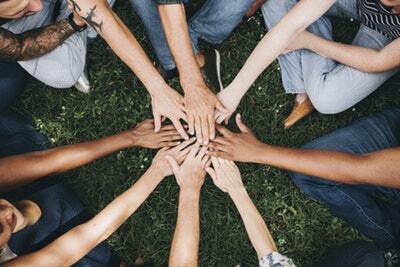 Support TASC by joining our Fundraising Committee Meeting. Celebrate Valentine's Day Party with TASC clients and help volunteer for the afternoon! 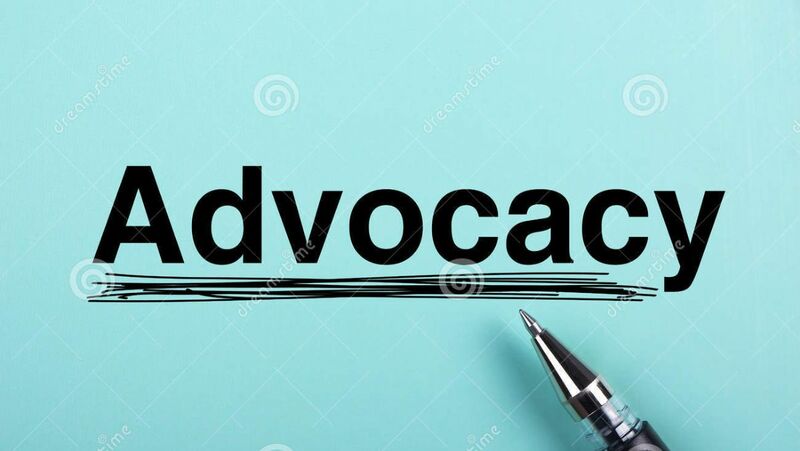 TASC has partnered with other Valley service providers to take legislative action as a community. All are welcome to join. This will be the second time TASC has partnered with OCS to bring family-friendly movies to the school (admission by donation of $5). Purchase tickets here. TASC is hosting the first Family TASC Force meeting of the year. There will be speakers during this meeting to discuss end-of-life planning for families and resources within the community. Copyright © *2019* *TheAdultSkillsCenter*, All rights reserved.